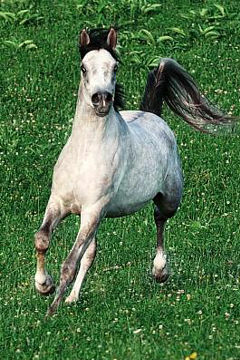 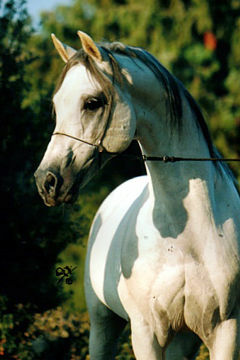 BARKAS, Grey Stallion, *1991. 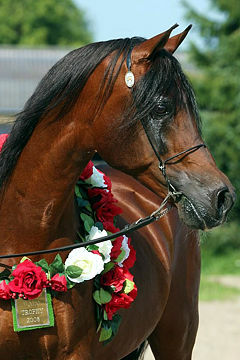 (Strij/Bahroma). 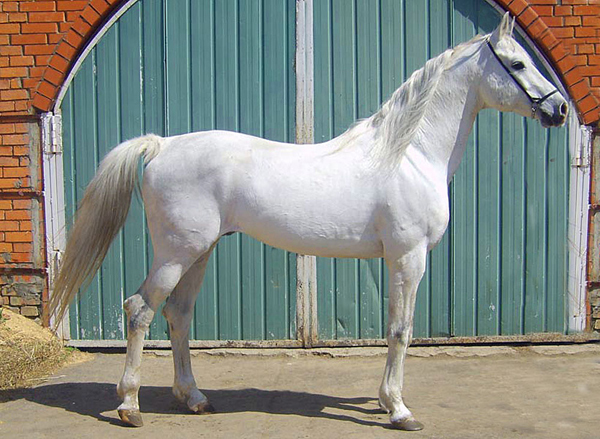 Breeder: Khrenovoe Stud, Russia. 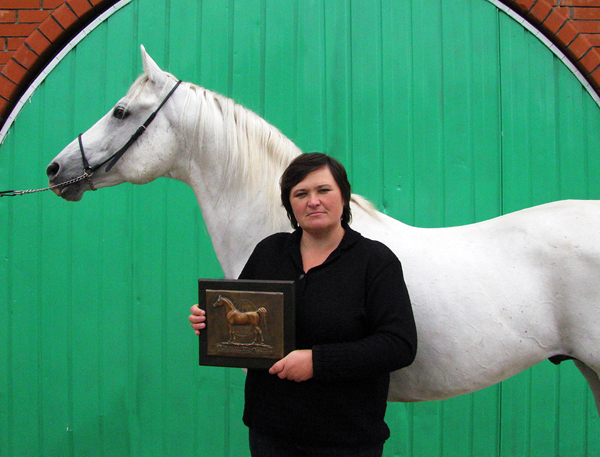 Owner: Veles Stud, Russia. 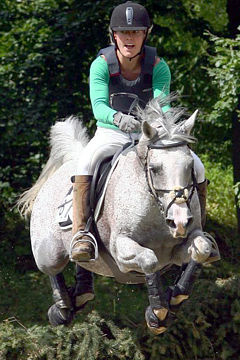 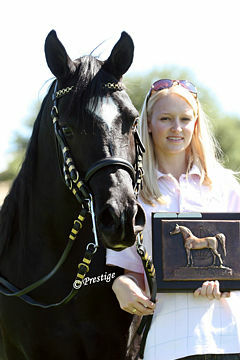 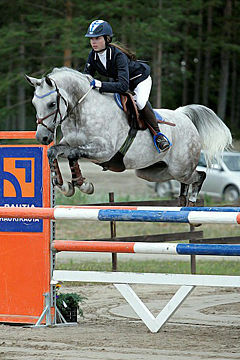 Barkas was awarded with the WAHO Trophy for Russia for the year 2009, at the age of 18. 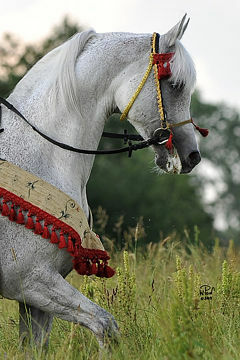 This attractive grey stallion is a horse of great racing potential and excellent endurance and for many years he has been considered one of the three best performance-sires in Russia. 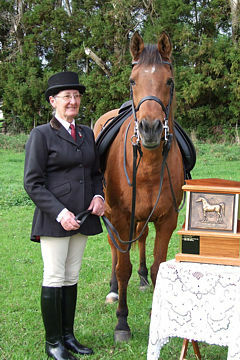 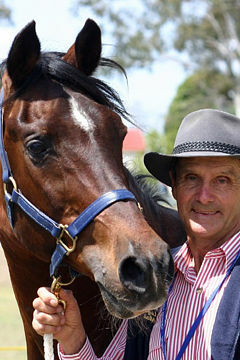 He won 7 of his nine races, including the Autumn Prize and the Big Summer prize, before retiring to stud. 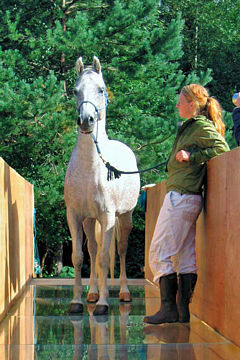 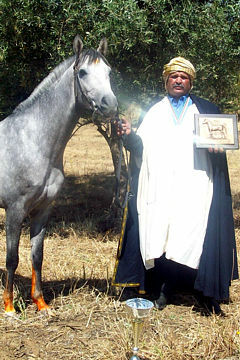 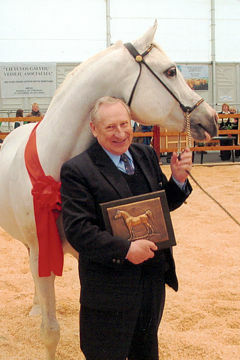 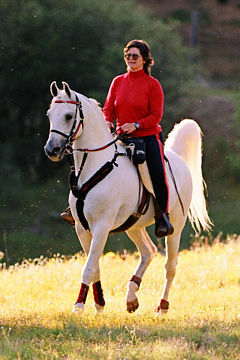 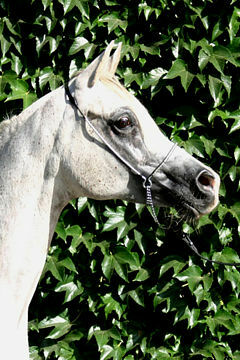 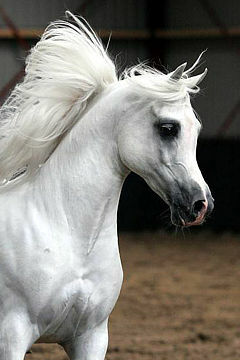 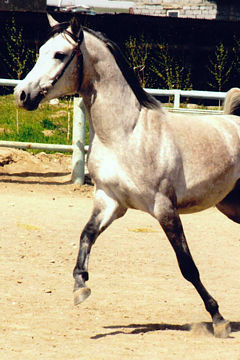 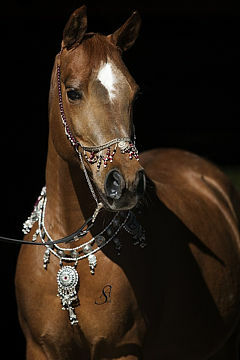 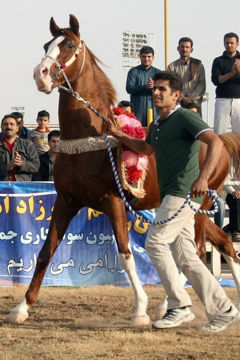 He has been used as sire at Russia’s largest Arabian stud farms. 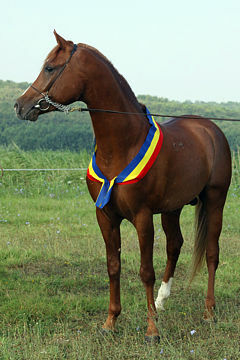 Barkas proved himself not only as an improver of the race and endurance horses, his descendants have been successful in show ring too. 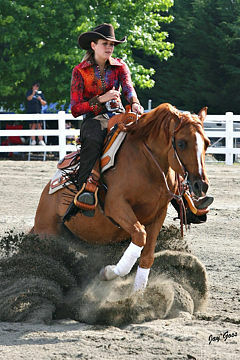 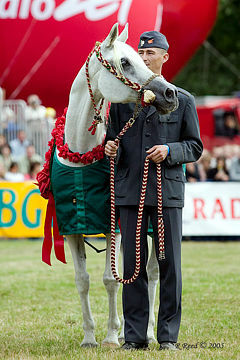 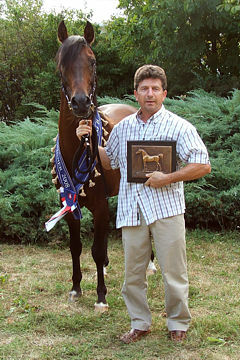 His daughter Paramba became the Champion of Russia in 2009, his another daughter Mirabilis became reserve champion in the “Liberty” class of National Show in 2008. 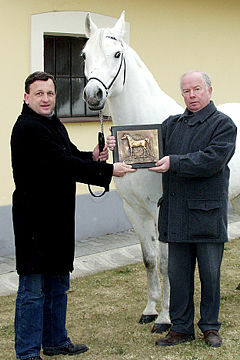 Barkas has so far sired 27 broodmares and 4 breeding stallions. 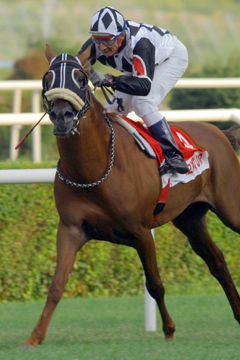 Several of his immediate offspring have been exported and raced with success overseas. 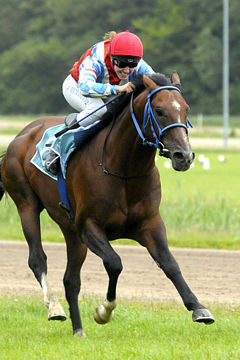 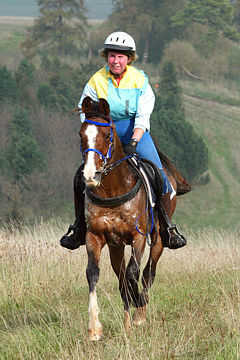 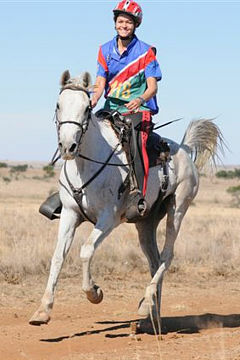 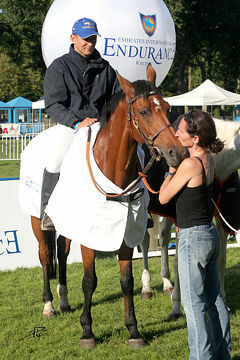 Some of his best progeny include the international endurance horse Novosibirks out of Neringa, winner of 4 races and in endurance his successes include 1st in “Oraida Prize” CEN 2* 80 km, 2nd in „Commonwealth Cup“ CEI 1* 80 km, 8th in “Old Ryazan City Cup” CEN 2* 120 km, and 2nd in international CEI 2* 120 km. 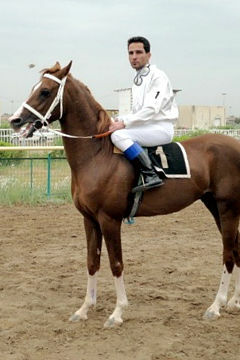 Other endurance specialists sired by Barkas include Abdul Bari out of Arktika; Ahtuba out of Arktika, Bilbao out of Balashiha; Farlep out of Nesmeyana; Pitbul out of Pamela; and Sambo out of Sakora.